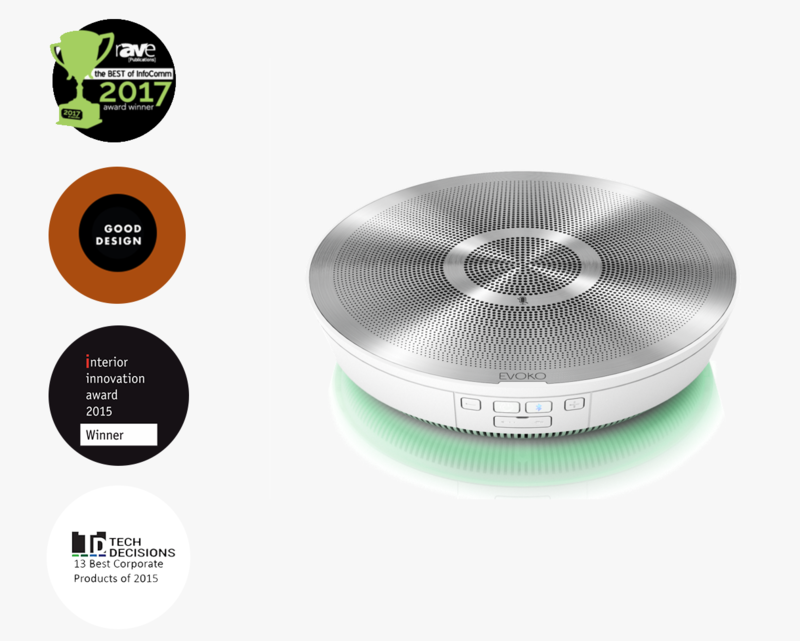 This week on ConferenceCast we interviewed the CEO of Evoko, a company that makes beautiful and highly functional conference room products including room managers, speakerphones, signage, and more. 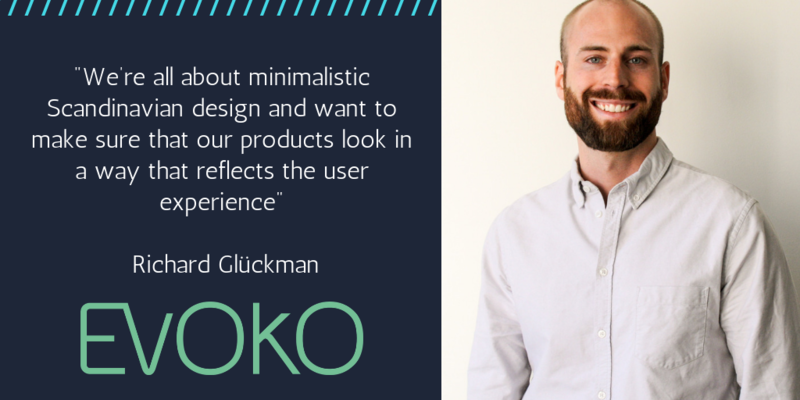 Learn all about Evoko and what makes them innovators in their field. Could you give us a little bit of background about your company, how and why you decided to get into meeting spaces? Our history actually goes back all the way to the 70’s when the company called SMS, Smart Media Solutions, was founded here in Sweden. And if we fast-forward all the way to 2009 we were approached by another company wanting to do more of a room control system and room booking was part of that. We jumped on the idea and started to develop a product. But in the end, we ended appealing that, we wanted to focus on the room booking side of it because that is such a key pain point that everyone recognizes. And we wanted to make sure to solve that in a simple way. 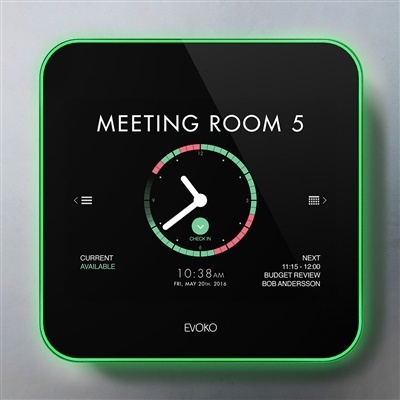 As we developed our first product, the Evoko Room Manager, that we started selling in 2010 and we did so under the company Evoko which is a subsidiary to SMS. And the big advantage that we have is that SMS already had their distribution network built-up all-around Europe so that is also how we could go to market very quickly and efficiently. One of the first things you notice when you go to your website or you see any of your products is that you have some of the most aesthetically pleasing product lines in this market. And I just wanted to bring that up and ask what makes good design so important to Evoko? Thank you for saying that. It always makes me happy to hear. We’re all about minimalistic Scandinavian design and want to make sure that our products look in a way that reflect the user experience. So, we always aim for very honest design where the design elements are chosen for a purpose and not just for the looks of it. And we want to make sure that our products are really easy to use and focusing on the key problems that they intend to solve. Since one of our other ambitions is to always make the everyday work life a bit more fun we try to add playful into the mix as well. And in general, why it’s important, I think it’s becoming increasingly more important for companies how their offices look because that affects their image both among their customers and their employees. And the technology is part of that and we want our product to help build image of the companies that use them. Speaking of your products, you have a few different products. But one of our favorites and the one that your company started with is the room manager. Can you tell us a little about what makes this product special and why it’s important to have for conference spaces? As I mentioned, I think everyone has experienced frustration around booking meeting rooms. There’s double bookings, interrupted meetings, difficult finding available rooms for ad hoc meetings, and on top of that we’ve got two of the major costs for businesses today personnel costs and office bays. And if you have unclear booking situations and not being able to optimize your meeting spaces so you’ll know how you’re using your meetings rooms you’re wasting both of these resources. So, Evoko is our room booking system. It’s actually the second generation booking system that we have now out on the market. It solves all of these problems and we’ve put a lot of effort into making sure that it’s done in a really simple way. Because as we talked about user-friendliness is really key for products like this to become adapted by the workforce. That’s what’s needed to make them valuable for the company. And it’s so easy to just keep adding on feature after feature in a product. You often get so many good ideas when you’re out talking to customers. But if you do so it soon becomes too complicated and you end up with a product that ends up being used for nothing at all. So, we build our products from the ground up to really focus on the core problems that we want them to solve and we’re very strict on limiting them to only that and we work really hard on ensuring the best user experience and that user-friendliness and the design combined is really something that I think makes us stand out in the market. Another one of your award-winning products is the Evoko Minto. So, this is a conferencing speaker-phone and if you could just tell us a little bit about that one too? The reason we started to develop the Evoko Minto was we felt that the conference phones out on the market had really not changed with the way that we are working today. So, every conference phone that we could find looked the same way they did in the 80’s and 90’s, they worked the same way and were built for the same kinds of users. And then you put that in contrast to how we work today. 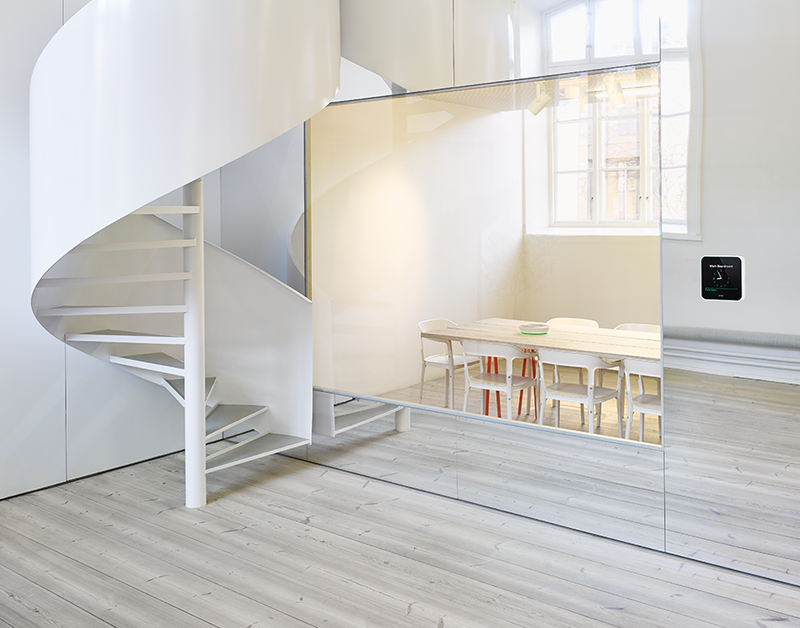 Where we have of course the big BYOD trend, we have much more of the flexible work spaces and activity bays offices. And we wanted to make sure that we could find a product that could fit more into that way of working. So, with the Minto we developed a speaker phone that’s got Bluetooth use, and an audio cable connection and made it really easy to connect directly to your own device. Right now, I’m using Zoom here connected to the Minto with Bluetooth from my smartphone. And it’s also battery powered so you can bring it with you to whichever space in the office you want to use it in. And it’s extremely powerful when it comes to the sound range. It’s got a 16-feet radius with really good sound quality. So, it actually covers 32x32 feet if you’re looking at the diameter. So, it works just as well for a small Huddle room as well as a big board room. One of the newer things which I haven’t actually tried yet, but you have a little camera called the Groupie. Can you tell us about that one? Yes, the name Groupie – we came up with that to put it in contrast with the “selfie”. If you’re on a video conference today using your laptop, smartphone, or tablet you pretty much just see one person and it’s pretty zoomed into your face. So, that can be the case sometimes. But if you’re on an 84-inch screen on the other side it becomes a bit too personal maybe. A big issue if you are just two or three people in a Huddle room or gathering around a laptop to do a quick call. So, what the Groupie is it’s actually not a camera. It’s a wide-angle lens that you put on top of your existing camera. So, if I get on a video conference for my laptop, I just attach it to the screen on top of the camera and all of a sudden you easily fit 3 or 4 people in the picture. And even if you’re by yourself on a call it’s a lot more comfortable when you can see not just the same where it’s zoomed in you can see all of your body language which builds for better reader conference. And it uses a special micro-suction material, so it attaches to all of the different displays and doesn’t get worn out. And it’s also got LED lights, so if you’re in a poorly lit room as some Huddle spaces can be or if you got a lot of backlight from a window, it can make sure that you’re clearly visible anyway. 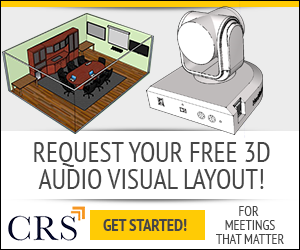 Are you planning on putting out more conferencing products in the future or innovative things like this? Absolutely. We’re always investing a lot in new development. We try to always be leading and coming out with the new things. And we’ve just released a new user interface for the Evoko Liso as well as a smartphone app to go with that. And overview screens that are ready when you walk in the reception you can get an overview of which rooms are being used and get directions to the meeting room that you’re going to. And soon we’ll also release the Liso calendar add-on which is a great extension for outlook that makes it a lot easier to book meetings from your computer and it adds some extra functionality like the possibility to book catering for example. And then we also have some other really exciting stuff in the pipeline, but we’ll have to save that for another show or episode I think. Is there anything else I missed that you want to expand on? Richard: Yeah, that would be the Evoko Pusco which is a product we have shown, and we have it on our website and we’re about to start production on that as well. And that’s a plug-and-play product for corporate communication you could say. So, it comes in a floor-standing version and a wall-mounted version and the idea is to make it really easy for companies to get information out to their visitors and to their employees because with many digital sign-in products before it’s been very complex to put that kind of solution together. You need a screen from one manufacturer, you need to get a casing and mounting from another, all of the cabling, find a media player, good publishing system, then making all of this work. And we pretty much packaged all of the together and built our own product for that. So, when you get it you just plug in two cables. You buy it and get two cables, one is power, and one is ethernet. And then it’s ready to go. And then combined with that are really hard on the back-end because that’s been the other obstacle for companies to use digital signage for their corporate communication is that it’s difficult to learn many of those systems and you have to spend a lot of time on design to make it look good. So, we took a new approach to it and worked under the assumption that we needed different people in the organization to be able to update this content very easily and quickly without learning the systems or being experts in it. So, we built it to run templates that can be used for different applications and also have reminders going out to the person who is responsible for each separate content. They just fill out a couple of simple text fields, maybe upload an image, and it goes straight into these templates and makes sure that it looks good every time with minimal effort.